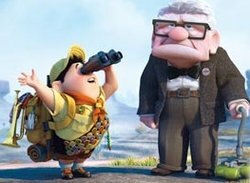 As expected, Pixar’s latest Up debuted at No. 1 over the weekend, pulling in a whopping $68.2 million; continuing Pixar’s perfect streak of hits. This was #10 — for anyone that’s keeping count. This makes Up the third-best opening for Pixar, behind the $70 million openings of Finding Nemo and The Incredibles. Congrats to everyone at Pixar. As always, the victory is well deserved. Samsung has figured out the secret to a viral video hit: combine a slick netbook and claymation. Check out this awesome video made to promote Samsung’s new netbook, the N310. Full credits after the break. 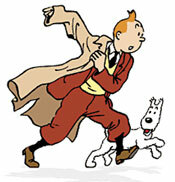 Variety reports that Steven Spielberg’s “The Adventures of Tintin: The Secret of the Unicorn” will make its U.S. theatrical debut December 23, 2011 — almost two months after the international release. Sony Pictures Releasing Intl. will release the movie in Continental Europe, Eastern Europe, Latin America and India in late October and early November 2011. Paramount will distribute the film in Asia, Australia, the U.K. and all other English-speaking territories. Tintin will compete against “Happy Feet 2” and Pixar’s “The Bear and the Bow,” both of which are also arriving in theaters around that same time in December. At this year’s Cannes Film Festival, John Lasseter of Pixar commented about next year’s Toy Story 3 and what we can expect as far as the story is concerned: “Toys are put on this Earth to be played with by a child. The thing they worry about the most is all the things in life that prevent them from being played with, and probably the thing they fear the most is being outgrown.” This seems to confirm the rumored story of Andy moving away to college and the toys being donated to a local pre-school. Lastly, Ed Catmull, president of Pixar and Disney’s animation studios, teased Pixar fans worldwide when he mentioned that Pixar had hit on a big emotional finish to Toy Story 3 and that it would be the film’s surprise. So, what do you think could be the big twist? Would Pixar be brave enough to actually kill one of its beloved characters? Four-time Emmy Award winner Alan Burnett takes on the role of screenwriter for Green Lantern: First Flight, the next DC Universe animated original PG-13 movie coming to DVD on July 28, 2009. Warner Premiere, DC Comics and Warner Bros. Animation are set to release the all-new Green Lantern: First Flight in a Blu-Ray edition, a special edition 2-disc DVD, and a single disc DVD. Warner Home Video will distribute the action-packed movie, which will also be available OnDemand and Pay-Per-View as well as available for download. Burnett, the primary story editor for Warner Bros. Animation, took a little time to offer his views on his humbling beginnings in comics, the influences of Alfred Hitchcock and Woody Allen, and the simple one-line pitch behind the screenplay for the first-ever feature length Green Lantern film. Available on DVD June 2, 2009. Both Saturday Morning Cartoons 1960’s Collection V1 and Saturday Morning Cartoons 1970’s Collection V1 will be available on DVD May 26. Warner Premiere, DC Comics and Warner Bros. Animation are set to release the all-new Green Lantern: First Flight on Blu-Ray, a special edition 2-disc DVD, and a single disc DVD. Warner Home Video will distribute the movie, which will also be available OnDemand and Pay-Per-View as well as available for download day and date, July 28, 2009. Actress Juliet Landau, who fans may recognize from her appearances on Buffy the Vampire Slayer and Angel, voices the sultry alien Labella in Green Lantern: First Flight. She took a few minutes out of her busy schedule to chat about voiceover work, the development of her Green Lantern: First Flight character, and the ability to grow and create in the entertainment business. FOX have partnered with Aniboom to launch the FOX-Aniboom Holiday Animation Challenge, an animation contest to find the next great FOX holiday TV special. The contest, which kicks off on May 27, 2009, invites animators worldwide to enter their original holiday-inspired animated shorts for the opportunity to win cash prizes and a FOX development deal. The FOX-Aniboom Holiday Animation Challenge is open to animators who have reached the age of majority in their state or country of residence. To be eligible to win, entries should be two to four minutes in length and must be holiday-themed – from Halloween to Thanksgiving to Christmas – or any other holiday observed in the U.S. Animators can submit their shorts online by uploading them directly to the Aniboom website at www.aniboom.com/fox. The contest kicks off at 12:01 AM PT on May 27, 2009 and the deadline for submissions is at 11:59PM PT on August 31, 2009. Viewers can watch and comment on the videos as soon as they are posted. A voting period will take place from September 1 through September 30, in which viewers have the opportunity to rate their favorite submissions. FOX and Aniboom will reveal the five contest finalists on or about November 3, and then announce the grand prize winner in mid-November. Each of the five finalists will receive a prize of $5,000. A panel comprised of FOX executives will select four of these finalists, while one “Viewer’s Choice” finalist will be chosen based upon the audience response on the contest’s website. The grand prize winner will receive the $5,000 plus an additional $10,000 and a FOX development deal, with the potential to air their winning work on FOX, FOX.com, and other FOX-affiliated websites.